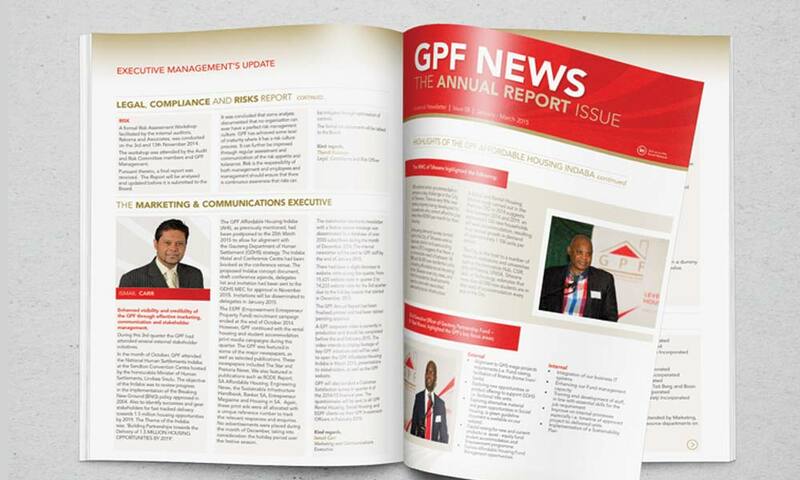 We have been doing print and digital design work for the Gauteng Partnership Fund for 10 years now, and this year we are proud to design and produce their Annual Report for 2014/15. Annual Reports have a tendency to get quite tricky, with so many departments and individuals overseeing and managing different sections of the Report. Deadlines are ususally quite tight and one has to keep a close eye on the expensive production process. But with a team like ours, no challenge is ever too difficult to overcome! It was a pleasure having this Report in our studio, and we hope that this is the first of many! Thank you GPF.